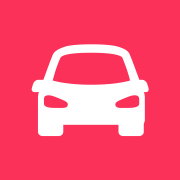 Mileage Logs is a beautifully designed application that allows you to track your vehicle mileage for tax and reimbursement purposes. Once installed, it automatically captures your drives using the GPS on your mobile phone. No need to manually mark the start and stop points for your drives! For captured drives, you can classify them as business or personal with a single swipe. You also have the option to manually enter your drives.